In 7 days, a new journey begins for South African cinema-going audiences as Lucasfilm and visionary director J.J. Abrams join forces to take you back again to a galaxy far, far away as Star Wars returns to the big screen with Star Wars: The Force Awakens. The very latest trailer and TV-spots can be found here and ticket sales are open to book your seat – visit www.starwars.co.za to find out more. The film stars Harrison Ford, Mark Hamill, Carrie Fisher, Adam Driver, Daisy Ridley, John Boyega, Oscar Isaac, Lupita Nyong’o, Andy Serkis, Domhnall Gleeson, Anthony Daniels, Peter Mayhew and Max Von Sydow. Kathleen Kennedy, J.J. Abrams and Bryan Burk are producing with Tommy Harper and Jason McGatlin serving as executive producers. The screenplay is by Lawrence Kasdan & J.J. Abrams and Michael Arndt. 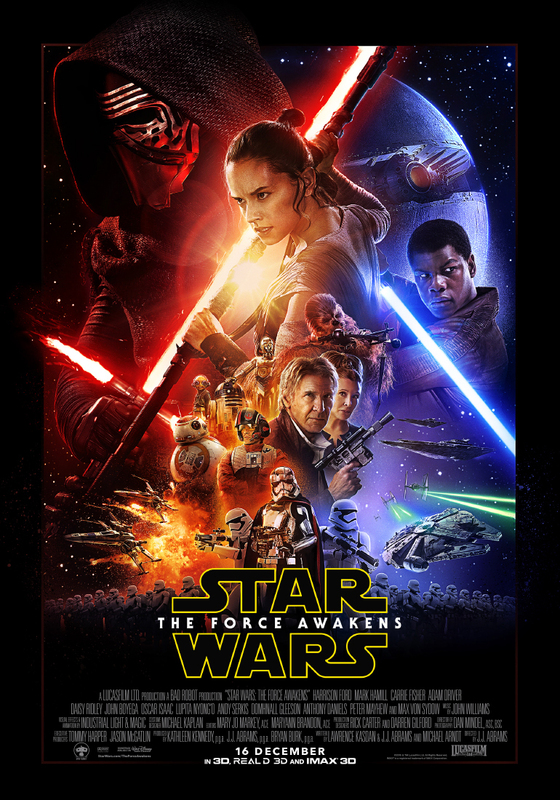 Star Wars: The Force Awakens releases in S.A. theaters on December 16, 2015 which is just next week. There are many other events planned to mark the celebration of this worldwide release of Star Wars Series. 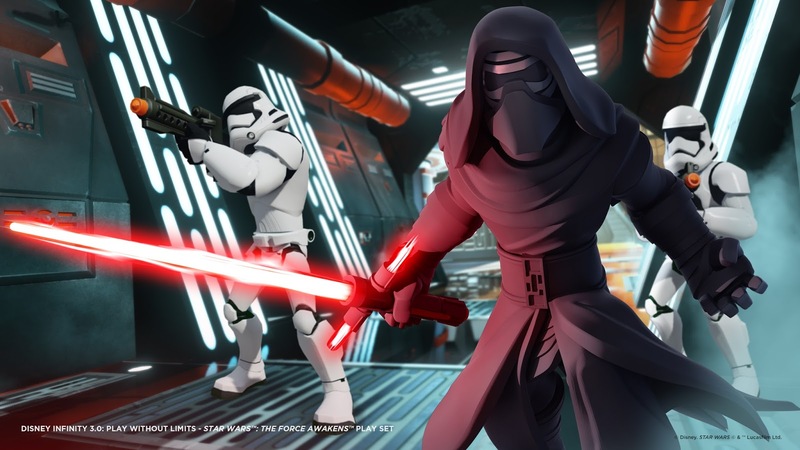 Just in time for the release of the film, The Force Awakens Playset is the next addition to Disney Infinity 3.0: Play Without Limits. In the Star Wars: The Force Awakens Play Set, players will travel to a galaxy far, far away alongside new heroes and old friends in search for a much-needed ally. Playable characters include Finn, a soldier on a path to adventure and danger, and Rey, a true survivor who is resourceful and capable. Both will join Poe Dameron, the trusted pilot of the Resistance who uses his expert flying skills to travel the galaxy, and Kylo Ren, an enforcer for the First Order who terrorises the galaxy with devious acts. View the trailer here. The Disney Infinity 3.0 Starter Pack, which includes the Star Wars Twilight of the Republic Play Set, is currently available in major South Africa retail stores for the PlayStation®4 and PlayStation®3 computer entertainment systems, Xbox One and Xbox 360. 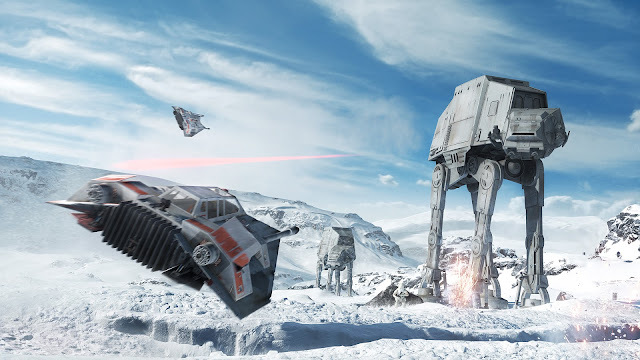 Available now at retailers nationwide, Star Wars™ Battlefront™ delivers an incredibly authentic and immersive interactive entertainment experience featuring photo-realistic visuals and epic action in iconic Star Wars™ locations. Star Wars™ Battlefront™: Battle of Jakku is now available as downloadable content as part of the game and gives gamer the chance to experience the events that created the massive, battle-scarred landscape of Jakku shown in Star Wars: The Force Awakens. It features two new maps set on the all-new planet of Jakku and a New Turning Point game mode. See the trailer here. Stars WarsTM fans in the Western Cape are invited to head down to Tygervalley Shopping Centre’s Food Court from 11 to 23 December as Character Emporium - the kids lifestyle specialty character store - brings a unique Stars WarsTM -branded experience. Come and discover incredible Stars WarsTM merchandise from caps to bedding; light-sabers to wall mounted Darth Vader 3D Lamps; costumes, toys and memorabilia. Family members of all ages will be enthralled, entertained and, in addition, there’s a chance to win a Stars WarsTMhamper worth R2000. And finally, be sure to head down to retailers nationwide for the very latest and greatest Stars WarsTM toys, apparel, games and so much more! In the end, May the Force be with you!